Meeting Recorder is your personal assistant for meetings. 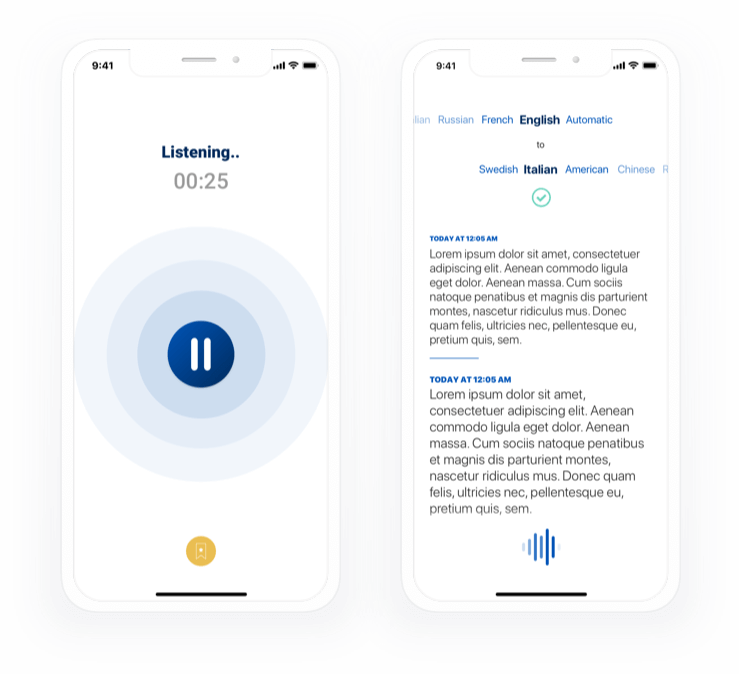 It listens to and transcribes your meetings, allowing you to search for words and phrases within the recordings. Record your most important conversations, work more efficiently, and save time! While in a meeting, you can mark the key points in the conversation so you can keep track of when the most important topics were covered. What’s more, you can easily search for a meeting by title, but also by what was said during the session: simply type a word or a sentence and Meeting Recorder will find the meeting where it was discussed! You can request a professional transcription of your recordings, which is carried out by one of Translated’s professional human transcriptionists. Your professional transcription will be made available directly within the app, giving you access to all your meetings and allowing you to share them with anyone you want! Don't miss a thing at upcoming meetings: download Meeting Recorder now!